Are you dealing with commercial or residential water damage to your property in Houston? Property owners can end up facing a big flood cleanup effort after experiencing a hurricane, tropical storm, or plumbing emergency here in Houston, Cypress, or Pasadena. While rising water levels in your home or business may feel overwhelming, you can begin returning your property to perfect condition right away by calling 911 Restoration of Houston. 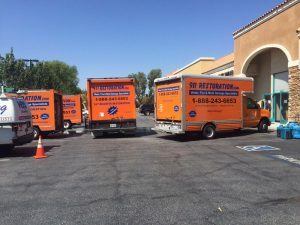 Our crews of water damage restoration techs are on call 24/7/365 to provide you with the help you need to handle pipe burst emergencies, sewage spills, and more. 911 Restoration of Houston is also a full-service mold removal company. This means that we can provide you with a professional mold inspection in Houston after a water damage event. Handling mold remediation in Houston is very important after a flood, pipe burst, or sewage spill. Let us focus on mold decontamination and odor removal if this fungus begins spreading through your property in Houston, Pasadena, or Cypress. We are here to restore your property to pristine condition after you experience water damage or discover you need mold removal in Houston. You can call us today to get same-day service from IICRC certified technicians who have the experience and training to return your property to better-than-new condition. Do You Need Mold Remediation in Houston? Mold prefers to grow in areas that are damp and dark. 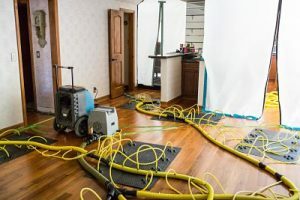 Houston pipe burst emergencies, rising flood waters, and other water damage emergencies can bring mold into your home or business in Pasadena, Cypress, and Houston. Basement floods are especially likely to lead to a mold infestation if property owners do not handle water and mold removal right away. We can also work to prevent mold from ever developing as part of water damage restoration in Houston. 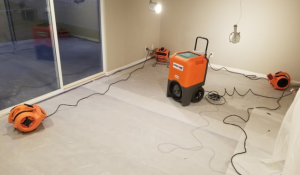 Techs can use infrared scanners to locate unseen spots of moisture before drying them out, giving mold no place to thrive and completing mold remediation in Houston. Mold decontamination in Houston can return your property to perfect condition, even removing the foul smell associated with mold growth. Let us totally handle all aspects of flood cleanup for your home or business, including any issues caused by spreading mold. Our mold remediation techs are licensed, bonded, and insured to handle both commercial and residential mold infestations. Getting professional help with mold decontamination can decrease the odds that you will face another mold outbreak in the future. 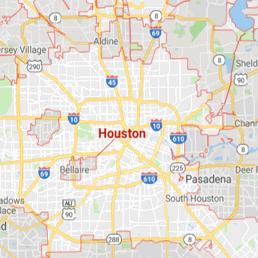 Let us assess your unique situation and come up with a plan to completely renovate and restore your property right here in Houston, Cypress, and Pasadena. Can You Get Local Help Handling Water Damage? Water damage emergencies can strike suddenly. You may find that you need immediate water damage restoration assistance after a pipe bursts, a sewage pipe backs up, or a hurricane blows through Houston, Pasadena, and Cypress. Here at 911 Restoration of Houston, we understand how important it is to begin water damage restoration in Houston right away. The crews at 911 Restoration of Houston utilize professional grade cleaning equipment to remove all signs of mold from your home or business after a mold inspection. Stopping mold in its tracks can protect your property and your health. You can recover after a flood, plumbing emergency, burst pipe, or major storm in Houston, Pasadena, and Cypress. Getting professional help from a water damage company can ensure that your property is quickly returned to the pristine condition you deserve. Call 911 Restoration of Dallas today to get the help you need.